are making an amazing decision if you want your kids learning Spanish. 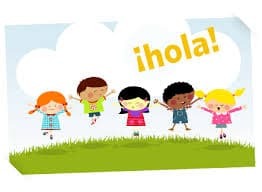 Scientific studies over the years have spelled out the benefits of kids learning Spanish, and it is only a select few parents who actually take the time and care to help their children in this process. In addition, our economy is going to be completely globalized by the time your child is an adult. Knowing the world’s third-largest language — Spanish — is only going to make your child more successful. But what’s the best way for a child to learn Spanish? For that, we must look back to how your kid learned their first language. 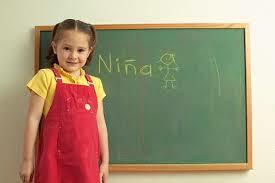 With no prior language knowledge, and no training at all, your child was able to speak conversationally by age 2. This was through the process of “language immersion” — surrounding your child with their first language all day and all night. unding that a baby can intuitively learn a language within 2 years without training! The best way to teach your child a second language is to simply follow the same immersion process. Do not — and I mean this very seriously — do not make your child go through Spanish classes or formal training. This will only make them disinterested in learning a second language. Speak to your child in Spanish whenever you can. Ask your child if they would like “comida” instead of “food”, for example. If you don’t know any Spanish yourself, not to worry. Use this time to teach yourself a little bit of the language, and learn along with your child. You can learn enough basic Spanish in about two weeks to be able to speak with your child. Invite relatives or friends over who speak Spanish, and have them speak nothing but Spanish to your child. Make sure your baby sitter or nanny speaks Spanish! Many children learn Spanish just by conversing with their Spanish-speaking baby sitters! Just look for ways that you can immerse your child in Spanish. And just like your kid’s first language, they will quickly and intuitively pick up Spanish in no time. Taking an interest in your kids learning Spanish means you’re responsible and interested in your child’s well-being. But don’t just stop here — go out and start teaching your child today! Good luck!